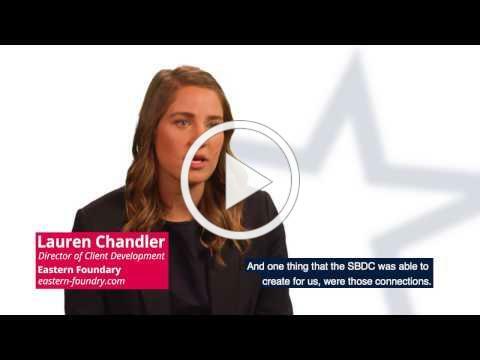 "The SBDC helped us make connections." "Because you don't know what you don't know." "We were treated like family." "They became extraordinarily invested in my company." "They really took their time." "Our network is for small businesses." "They will help you chart a course." "SBDC Services are one of the few things in life that truly costs less than what it's worth." a local business professional who volunteers time to facilitate classes and work with SBDC entrepreneur clients. 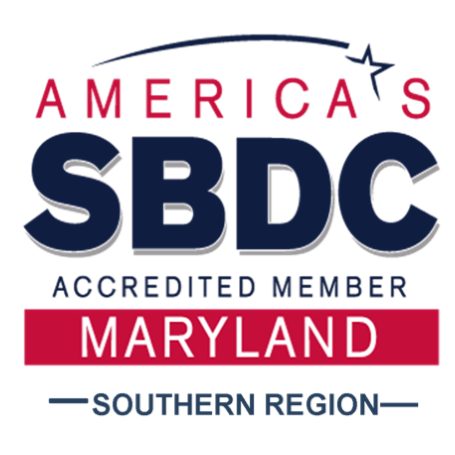 "When I first called [SoMD] SBDC office, I thought I had done everything I needed to do to get my business started. Thankfully I called and was willing to follow the recommended process. The very first step I took - "Smart Start Assessment" was a wake up call. SBDC saved me from making expensive mistakes. It's true, you don't know what you don't know." -Failing to set up the right business structure. -Failure to follow business tax laws [- just changed - find out your impact]. -Failure to get proper documentation about employees. -Not getting copyrights, patents, and trademarks. 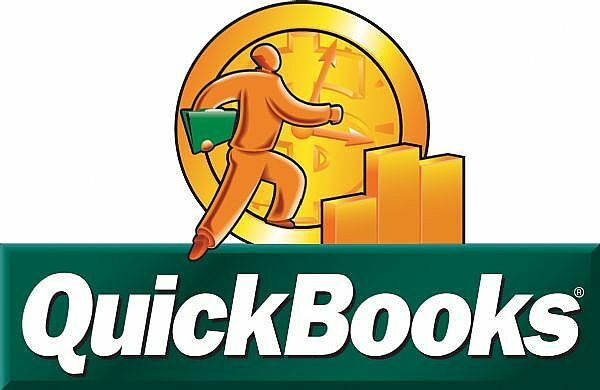 -Working with vendors or clients without a contract in place. PLEASE HELP ME AVOID LEGAL AND RECORDS MISTAKES! Take Me to SBDC Training Info and Registration Link Now! This class is almost full! Only 5 Seats Left! Students' Said: "Enjoyed responses combined with instruction to provide great insight; very informative. Great; Very Good Information. A class that you need to take if you are opening a business [if you own a business]; Very Well Prepared, Great to go through process to compare to different business types; Very informative." 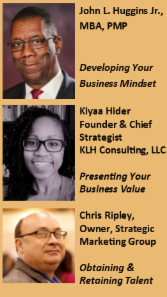 Facilitators : Catherine A. Askey, CPA, CVA, ABV and Bill D. McKissick, Jr., Esq. Don't Wait - This Class is Almost Full! Students' Said: "Very informative and super helpful!" Lots of enthusiasm for the subject and it comes across, making students excited too. "Will definitely take more classes with Ms. Hall!!" ""Knows her QB's very open to questions." Don't Wait - Get This Essential Class NOW! Work with SBDC Business Consultant and other entrepreneurs from the region. Students' Said: "This information helped me figure out which direction to take me into business" "I really enjoyed this class." "Excellent delivery of information." " Bill is very knowledgeable and personable." Very engaging. "Great instructor in all areas. Excellent session." Very helpful!!!" Today many people are choosing to run their own business to secure their future. However, with over half of all new businesses failing, that can be a risky choice. Franchises can eliminate much of that risk. This courses for small business entrepreneurs will focus on working with an existing company and a proven concept to increase your chances of succeeding. Students' Said Most Helpful: "Describing the tools to make decisions fruitful;" "advantages and disadvantages to types of businesses to own/buy;" "franchise disclosure, The fact you do not need to know a skill to own a franchise;" "the entire slide show; the myths and facts;" "learning about semi-absent;" Other Comments: Great Class Excellent and to the point information;" "This was one of the best classes of the series. I would love to keep in touch with Mr. Bock. Awesome class and good role model;"
Facilitator : Richard Bock, Franchise Business Consultant of Washington DC and Maryland. For more than 25 years, FranNet has educated people just like you on the pros and cons of the different opportunities to own a business. What is your company's unique selling proposition? Can you explain your brand value, what it means and how your products and services differentiate you from your competitors? This course will help you to evaluate your existing marketing messages, identify your target market and explore your company's brand personality and key messages. Students' Said: "Great Class!!! " Great tips and information!" This new series is designed for the business owner that is ready to grow. There are many excellent reasons to pursue business growth. With business expansion comes increased revenue, wider brand recognition, and increased relevance in the industry. Most businesses, however, start small and stay there. If that's not good enough for you—or if you recognize that staying small doesn't necessarily guarantee your business's survival the Franklin Entrepreneurial Series is for you. Students' Said: Developing Your Business Mindset "Instructor made class fun. Interaction was great! Enjoyable, related real world experiences." Presenting Your Business Value "Speaker's diagrams for determining value were helpful. Real life conversations, great information. Instructor was well informed, dynamic and the information was so valuable. So glad I took this course. Makes you want to tackle the world!" Obtaining and Retaining Talent "Discussion was great and good interaction." with " Preparing to Meet Your Lender " June 12 6-8pm . Local financial professionals will provide sound advice about what it takes to get a loan or an investor. Documents and information that are of interest to lenders and investors will be available and discussed. Seating is limited so Register Early ! Save the Date read more about this event's past year's from lenders and businesses that participated.